Damian Rogers and Darren Jones are the Managing Directors and Principal Architects at BPSM, applying a strong project management and design ethos. Their complementary skills and experience drive a tight-knit and passionate creative team. This partnership has stood the test of time, contributing significant value to Tasmania’s built landscape, and the architecture profession. Damian Rogers has many years of high level experience running projects in his capacity as a Director of BPSM Architects, and possesses a broad range of complementary skills for application to the most complex of projects, including project management, master planning and design management. Damian is one of Tasmania’s leading construction consultants, having started his career as an apprentice on major building sites in the mid 1970’s, progressing through to site subcontract foreman before returning to study Architecture at the Advanced College under famed local Architect, Barry McNeill. Damian joined the Australian Institute of Building (AIB) whilst working for construction company, Hansen Yuncken, in 1988, and has served as a Chapter Council Member, National Vice President, National Councillor, and today as Chapter Secretary. Damian has also had the honor of serving as a judge at National Professional Excellence in Building Awards for 2014 and 2015. Darren Jones has many years of experience running projects in his capacity as a Director of BPSM Architects. Darren has a close and long standing working relationships with many local Councils and businesses including continuing development works at the Royal Hobart Hospital. As a BPSM Director, Darren is in charge of overall project management including; programming, cost control and procurement methods. Darren is also responsible for the companies IT systems and interstate expansion programme. 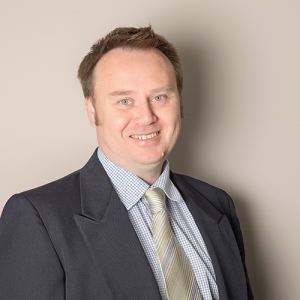 Darren has had 21 years of experience in the building industry after graduating from the University of Tasmania with a Bachelor of Architecture. He went on to become a registered architect and joined BPSM Pty Ltd at the start of 2005 as a director of the company. During Darren’s time in the construction industry, he has been involved in a large range of projects throughout Tasmania and brings a mix of architectural and development management skills across multiple project sectors. With his unique skills developed within the construction industry and architectural profession, Darren can offer innovative yet practical solutions to any challenging project. We’d love to work with you, so get in touch with us about your new project, today!